We meet from 7.30pm on Thursdays at the North End Social Club – see Venue page for more details. Bedford is a well-established club with a healthy membership. New members are very welcome. We have recently started a junior club which meets on Thursdays from 6pm until 7.30pm – see Junior Club page for details. 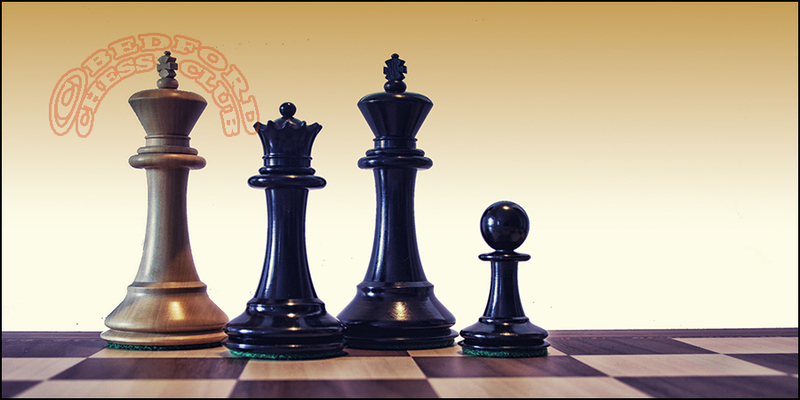 We have four teams in the Bedfordshire League so there is plenty of opportunity for competitive chess. We hold a number of club competitions for serious chess and some more light-hearted events in July. For more details, click here to send a mail.